In this lesson, In this lesson, Mixtures and Alligation has been covered in a way to give you in-depth understanding of Mixtures and Alligation. 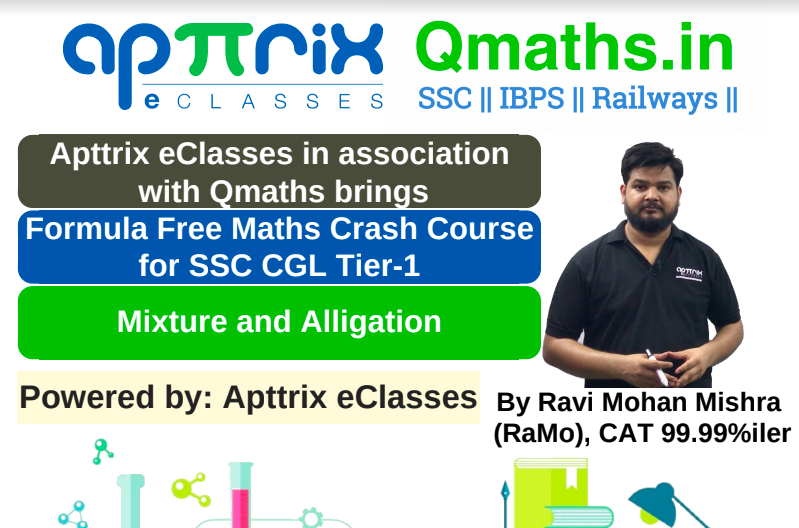 Mixtures and Alligation is a very important area tested in every competitive exam SSC CGL, Bank PO, CAT, and other aptitude exams. Having a good skill of Mixtures and Alligation understanding helps in scoring better marks in the exam.